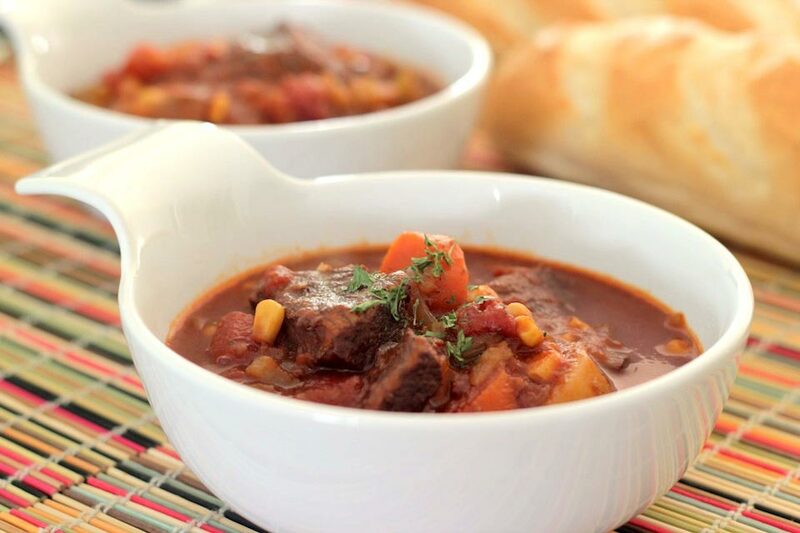 Tomato Beef Stew is one of my favorite dishes to eat for dinner. 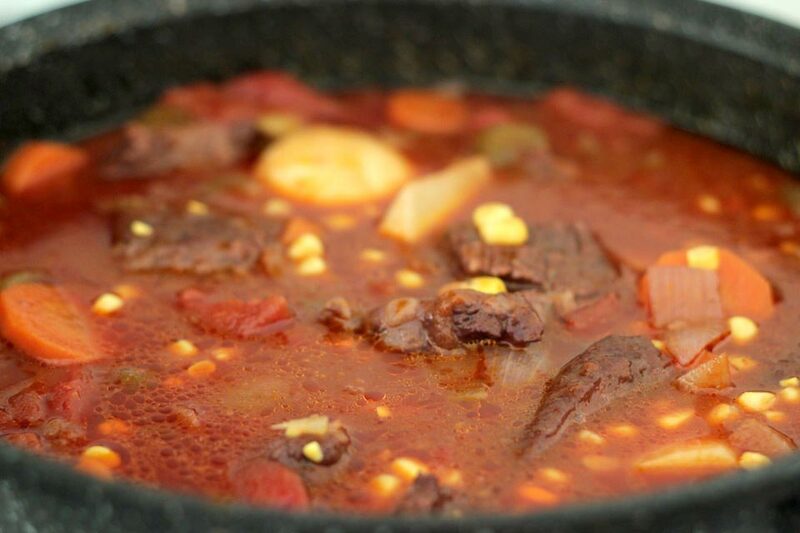 Most of the beef stew I had in Japan always had a strong tomato flavor and it got me instantly hooked! 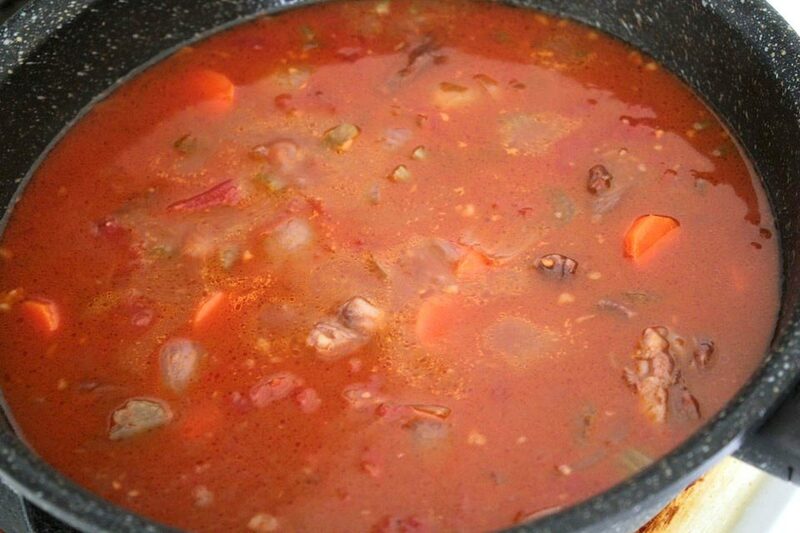 Now that I make tomato beef stew at home, I always end up eating more than 1 bowl. 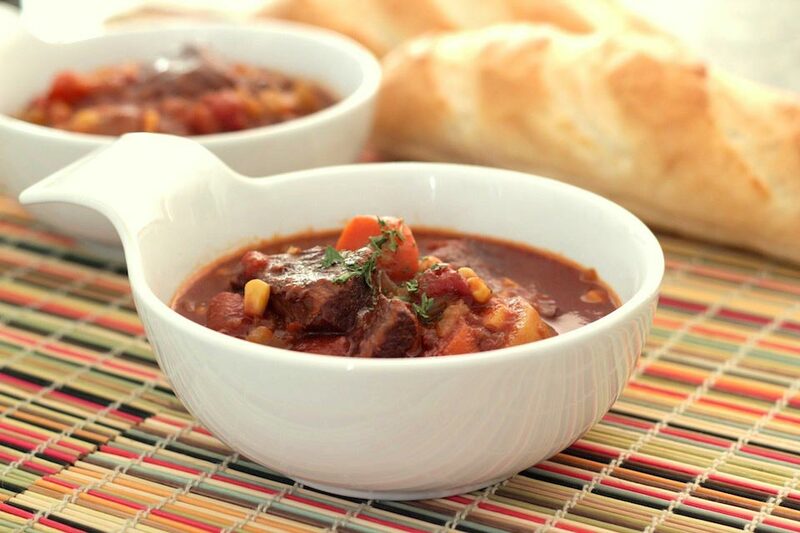 For this Tomato Beef Stew recipe, I used the zinfandel red wine. It’s slightly sweet and goes well with dishes requiring tomatoes. 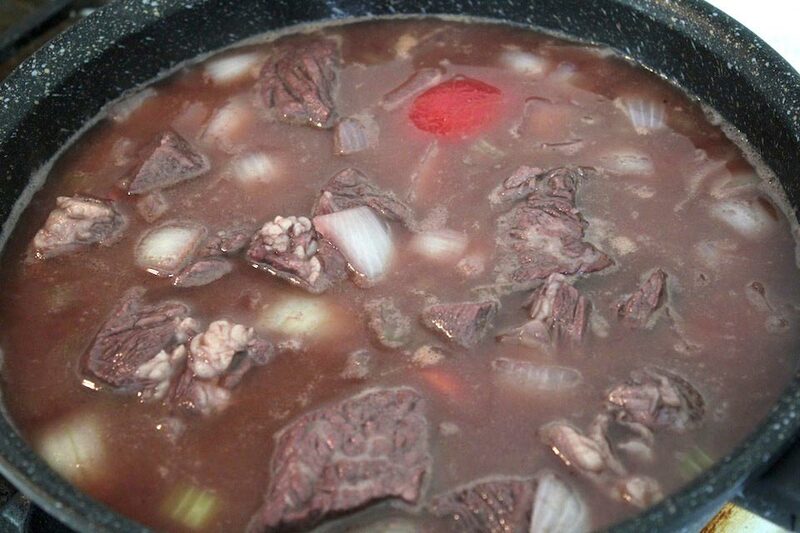 I’ve tried other wine like Cabernet Sauvignon, but it didn’t really go well inside the stew. 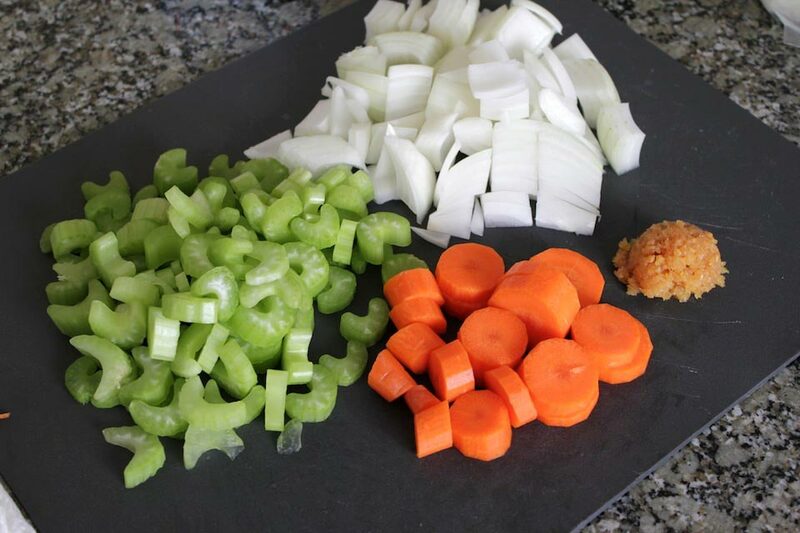 This dish looks like a lot of work, but it’s mainly just chopping and preparing vegetables. The total cooking time is about 2 hours. Serve with sliced french baguette or even with pasta! 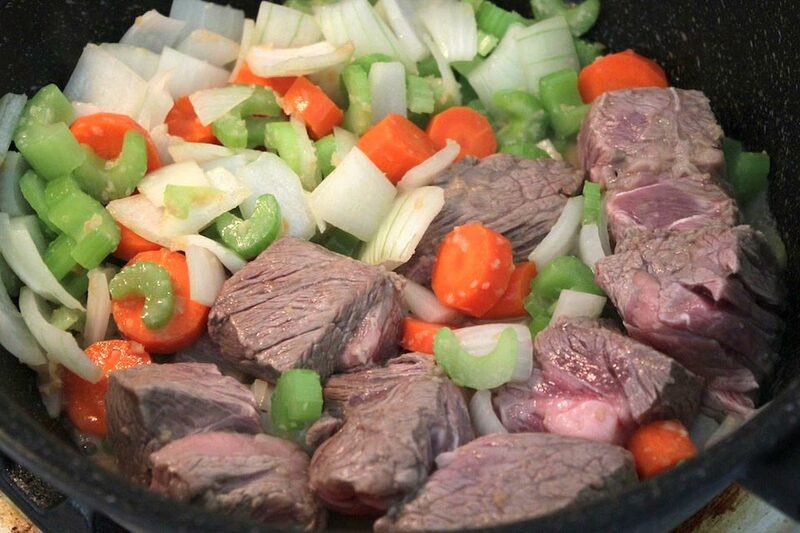 Soak the beef in cold water for 30 minutes to an hour. Drain and put aside. Chop all of the vegetables except the potato (save for later). 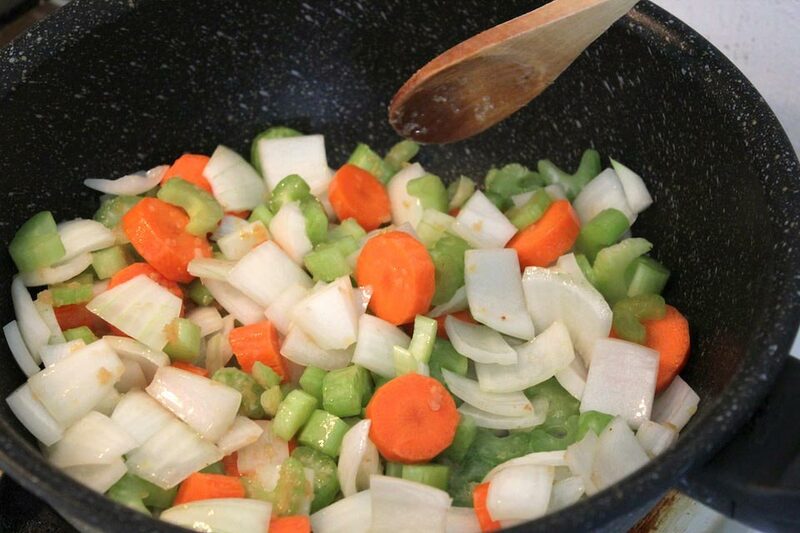 Heat a large stew pot and cook the vegetables and garlic in butter for about a minute. Then lightly brown the stew meat and add ground pepper. Now add the wine and let the mixture simmer for about 10 minutes (let the alcohol evaporate). Next add the beef broth, water, sugar, and the large can of stewed tomatoes. Let the mixture come to a boil. 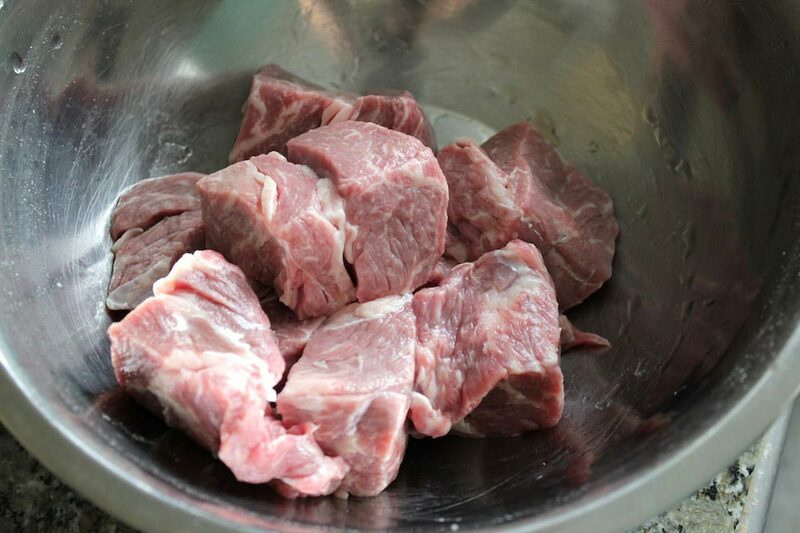 Then cover and reduce to medium low heat and cook for 1 hour and 15 minutes. 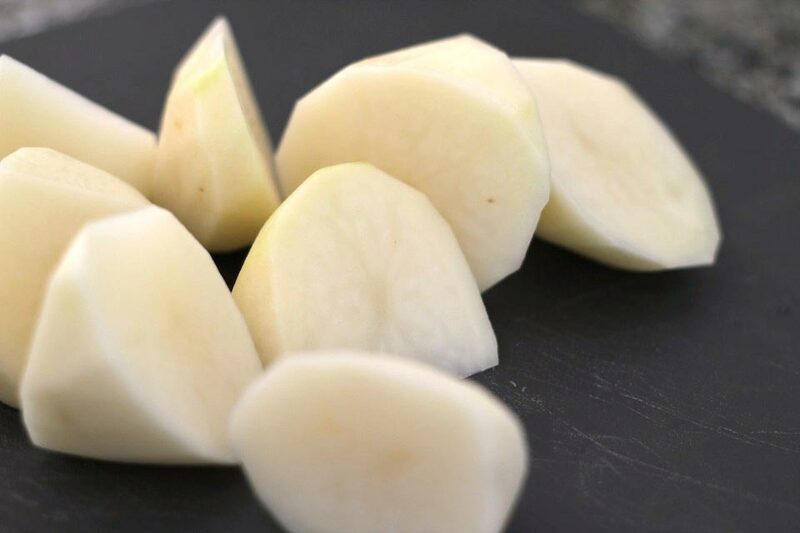 After an hour and 15 minutes, peel the potatoes and cut into large chunks. Add the potatoes and small can of corn kernels to the stew mixture. Also add the tomato paste and mix well. Then cover and cook another 25 minutes. 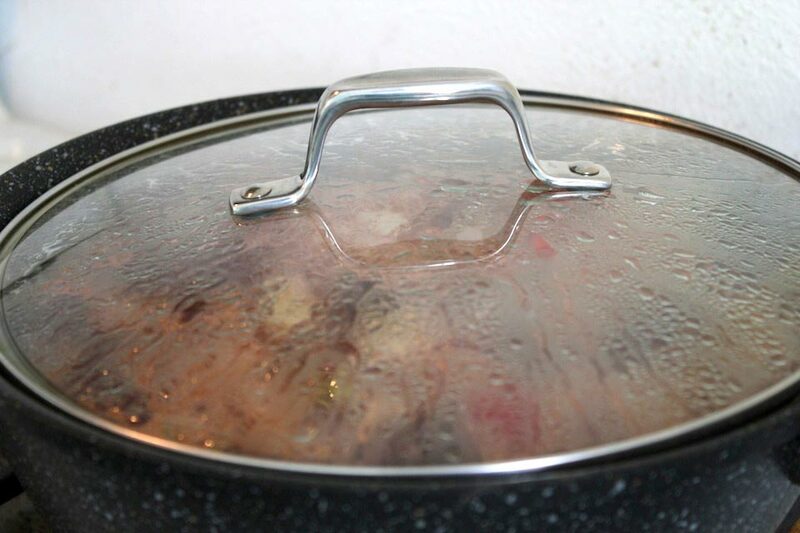 Then remove the lid and cook another 15 to 20 minutes (until potatoes are soft and the liquid has thickened). Serve with baguette slices and/or pasta.